Some of our users report about the troubles on their Google Chrome browsers. 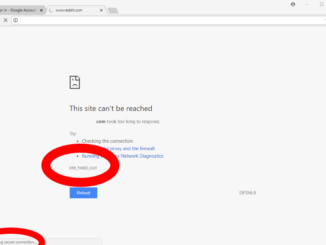 Browsers decline to show internet pages, and every new tab firstly shows “Establishing Secure Connection” for a long time and after that fails to show the desired page with the message “This site can’t be reached” and “ERR_TIMED_OUT”. Reload is useless. Unfortunately, this problem can have different reasons, including lost internet connection, wrong internet settings, registry errors and other reasons.